With High Performance Computing (HPC) supercomputer systems that comprise tens, hundreds, or even thousands of computing cores, users are able to increase application performance and accelerate their workflows to realize dramatic productivity improvements. The performance potential often comes at the cost of complexity. 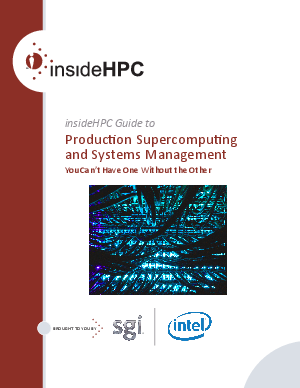 By their very nature, supercomputers comprise a great number of components, both hardware and software, that must be installed, configured, tuned, and monitored to maintain maximum efficiency. In a recent report, IDC lists downtime and latency as two of the most important problems faced by data center managers.